Although not recognised as a sovereign state by the international community, the autonomous region of Somaliland has been an island of relative political stability in the midst of the chaos and destruction that continues to unsettle the rest of Somalia. However, levels of poverty remain high and thousands of children lack protection. SOS Children's Villages has been working to support the region's young people and children in order to give them a brighter future. At present there are one SOS Children's Village, one SOS Kindergarten, one SOS Hermann Gmeiner School, two SOS Social Centres and two SOS Medical Centres in Somaliland. In the late 1990s, SOS Children's Villages took the decision to implement an SOS Children's Villages in Somaliland in addition to the one that had been built in Mogadishu in 1983. The SOS Hermann Gmeiner School in Somaliland is now one of the best schools in the region and offers education to around 240 students. SOS Children's Villages has also been running an SOS Family Strengthening Programme in Somaliland. Via these programmes, we aim to strengthen existing family ties and to enable children who are at risk of losing the care of their family to grow up within their own family. At present, SOS Children's Villages is supporting Somaliland children and young people in Hargeisa by providing day care, education and medical assistance. Children, whose families can no longer take care of them, can find a loving home in one of the SOS families. SOS relies on the kindness and generosity of Canadians to be able to provide a home for the most vulnerable children of Somaliland. Please help us ensure a loving home for every Somalilander child. 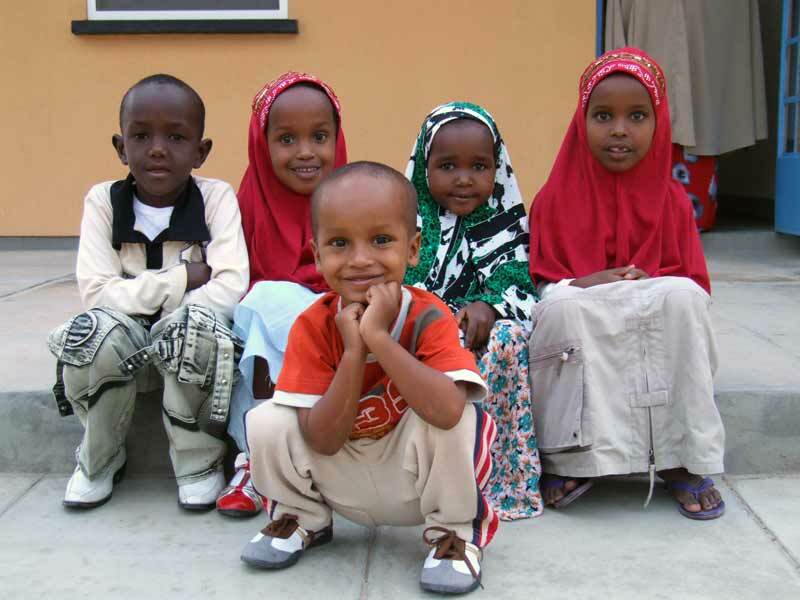 Sponsor a child in Somaliland now. Your donation will help change an orphaned or abandoned child's life. Somaliland is an autonomous region situated on the eastern horn of Africa, which declared itself independent from Somalia in 1991. However, its independence remains unrecognised by any country or international organisation in the world. Somaliland has a functioning political system, government institutions, a police force and even its own currency. Unlike Somalia, Somaliland has remained comparatively stable and safe. It even attracts a small number of foreign visitors. Nonetheless, poverty and unemployment are widespread phenomena. Nearly all citizens of Somaliland are Sunni Muslims and Islam is the official religion. Somaliland is home to ten universities and colleges of higher learning. The economy of Somaliland is still in its developing stage. Remittances from Somali citizens abroad represent an important pillar of Somaliland's economy and major export commodities include livestock, myrrh and hides. While its southern neighbour Somalia is arguably the most dangerous and underdeveloped country in the world, Somaliland has managed to make important and much-needed improvements in sectors such as health, education and infrastructure. Over the past 20 years, access to medical assistance and schooling has improved significantly. De-mining efforts, carried out by United Nations specialists, have made the region much safer. However, poverty and high levels of unemployment continue to make life challenging for the vast majority of Somaliland citizens. Despite improvements, the government struggles to provide basic goods and services to its people. Life expectancy in Somaliland also remains low at around 55 years. Owing to the territory's lack of diplomatic recognition, access to foreign aid and loans proves difficult. Although freedom of expression is theoretically guaranteed by the territory's constitution, journalists have faced problems. Due to its geographic location, Somaliland frequently experiences natural disasters such as flooding and droughts. In April 2010, 200 families were displaced and hundreds of homes destroyed as a result of heavy rains in and around Hargeisa, the region's capital. In total, 2,500 people were displaced because of the disaster. In September 2011, the government of Somaliland decided to take action against "illegal" immigrants from Ethiopia. According to reports, roughly 80,000 immigrants, most of them Ethiopian, now face deportation if they do not leave Somaliland voluntarily. Many of these are children, of course, and sometimes they have even travelled here on their own. Like in the rest of Somalia, female genital mutilation (FGM) is exercised on nearly all women. Apart from the psychological implications, FGM can cause severe childbirth complications. It is internationally recognised as a violation of human rights. Although there are no accurate orphan statistics for Somaliland, tens of thousands of children in the region have lost either one or both their parents. Many of them roam the streets of Hargeisa begging for food and money and have no home they can go to. According to reports from different sources, child trafficking is also increasingly becoming a problem in the region. De-mining efforts in the region have improved the lives of Somaliland children. It is now possible to play in the streets and public playgrounds without having to worry about sudden explosions. Access to education has also improved noticeably: while in 1991 the total number of primary, secondary and intermediate schools was 219, it has now increased to 506 across the territory. Although not much data on the situation of the children in Somaliland is available, it is known that they are generally better off than in neighbouring Somalia. Literacy rates have been on the rise as the educational sector continues to see improvements.